We are happy to announce our new product Tenant Ledger for QuickBooks Online. Easily manage your properties, tenants, and leases in Tenant Ledger while using QuickBooks. New QuickBooks users can easily sign up and get started and existing QuickBooks customers can sync all of their data into Tenant Ledger in seconds. Tenant Ledger works seamlessly with QuickBooks, when an invoice or payment is created in QuickBooks it appears in Tenant Ledger and vice versa. 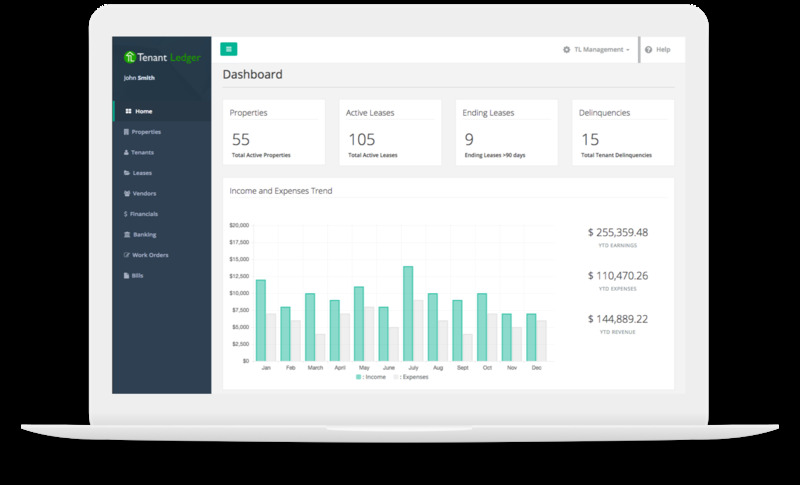 With Tenant Ledger, organize all of your tenants into their leases and let Tenant Ledger automatically create recurring invoices in QuickBooks depending on your lease terms. Tenant Ledger will also automatically start or end leases, scheduled rent increases and allow you to move tenants in and out of a lease. First, go to www.tenantledger.com and sign up for Tenant Ledger for QuickBooks. You will receive an email notification that you were signed up and also be redirected to the application. Before getting started with Tenant Ledger it&apos;s required that ydonou connect to your QuickBooks Online account (New users, don&apos;t worry keep following these steps and you can sign up during this process). Click on the connect hyperlink in the notification on the page. You will be redirected to the setting page, at the top right of the page click on the Connect to QuickBooks button. A new popup will appear on your page asking you to sign into your QuickBooks account. *New QuickBooks users can sign up now from this page. Once you log into your QuickBooks account it will ask you to authorize Intuit to securely share your data with Tenant Ledger. Click Authorize and you will be redirected back to Tenant Ledger settings page with your QuickBooks data already synced into Tenant Ledger. New users can get started by adding a Property while existing users can add a property but also link any existing classes from QuickBooks to their properties in Tenant Ledger. Next step is to add all of your tenants, but existing QuickBooks users will already have their tenants (or also known as customers in QuickBooks) synced into Tenant Ledger. You will also be able to view your tenant&apos;s transactions in the tenant summary page. After all of your tenants are in Tenant Ledger you can start assigning them to leases. If you have any recurring invoices that need to be charged to your tenant please check the Recurring Rent Charges checkbox and select the terms.